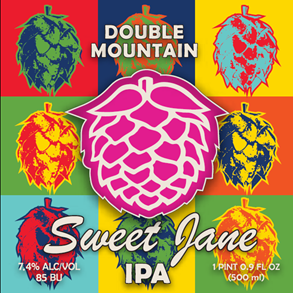 As we are set to enter the month of March, Double Mountain Brewery & Taproom has announced its 10th Anniversary Party and a brand new beer, Sweet Jane IPA. Beginning this week, 1/2 liter bottles of Sweet Jane IPA will begin hitting store shelves. 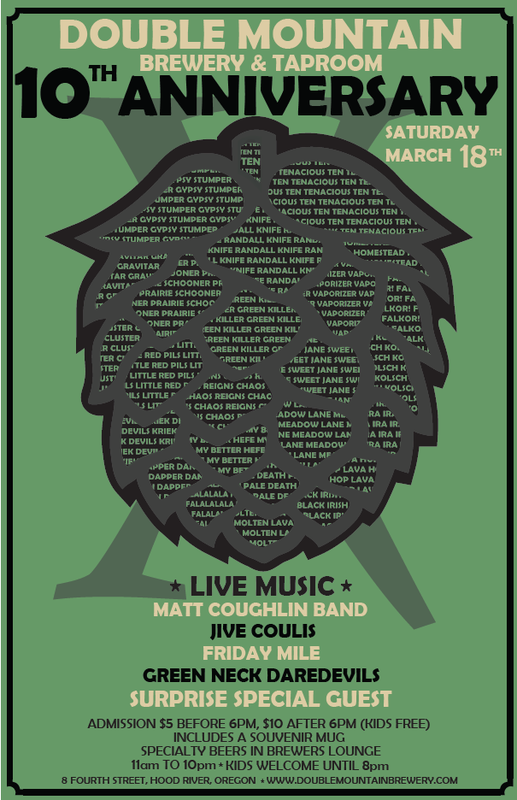 Then on Saturday, March 18th, the brewery in Hood River will host its 10th Anniversary Party with a day full of Double Mountain beers and live music. Currently on tap and in bottles at its pubs in Hood River and Southeast Portland, Double Mountain Brewery announces the release of its latest IPA inspired by Lou Reed. Sweet Jane IPA will see distribution throughout the Northwest and British Columbia, in early March. “This beer is inspired by one of my rock heroes, feel like I’m standing on a corner with beer in my hand, God I love this song,” states Matt Swihart, Brewmaster, in a release. An anthem of an IPA; dank green forest, juicy fruit, and citrus shout the verses, while the malt lays down a solid groove. The chorus of flavors rolls back through the reprise, finishing clean and dry. Then on Saturday, March 18th from 11:00am until 10:00pm, Double Mountain Brewery will host its 10th Anniversary at its Taproom in Downtown Hood River. Admission is $5 before 6:00pm and then increases to $10 for those that arrive after 6:00pm. Entry includes a Double Mountain Souvenir mug. Kids are free and welcome until 8:00pm. This year’s anniversary will include a Brewers Lounge that will feature specialty brewer’s reserve beers from Noon until 9:00pm. Half pours will be $5.00 each and this area is for those 21 years of age or older.